I started getting sick on Tuesday. Felt like flu. Had to go to emergency wed because I was having trouble breathing. They tested me not only do I have the flu I have both flu a and b. They make me get the flu vaccine every year or I can not work. The last three years I have gotten the flu. This is the worst one so far. I hate being sick. It has been a bad flu season.We have had a lot of kids with influenza A in the hospital. Hope you feel better soon. I hope you’ll feel better soon! I haven’t had a flu shot in 53 years and haven’t had the flu since then, either. No one can convince me flu shots don’t make you sick. During flu season I take Airborne 3X a day. I don’t get so much as a cold. I can’t even remember the last time I had one. My pregnant daughter has been throwing up with the flu for the past 4 days. This flu is relentless! I said the same. My husband worked in the hospital last year n it was required. He got sick soon after getting it and then again this year bc he had to get it again about a month before he went to his new job. My household was flu free for over 17 years before that. Luckily he is the only one that got it. I quarantined him n gave all kids extra vitamin c b green tea. I ended up with a little yuckiness only bc I was taking care of him. I’m 51…same. Never had the flu, never a flu shot, BUT I do take 10000iu of vitamin D3 everyday. Even though I get sick kiddies in my day home, I rarely even get the sniffles. The one and only time I ever got a flu shot is the one and only time I got so sick with it I ended up in the ER. Sorry to hear. Right about when I first started reborning in October ‘18, I caught the flu and was ill for nearly three weeks. I was planning on getting the vaccine too. Usually I don’t get the shot because my health gets poor afterwards. Never have I had the flu in my life but this past season has been the worst. Feel better. Drink fluids. I hate being sick too. I’ve had the flu only once in my life and got over the worst in three days. I take 5 to 10 thousand IU per day of vitamin D3 and take vit C, and eat as healthy as possible. I avoid the flu shot. It’s wrong that they force you to take it to keep your job, especially with national reports showing its effectiveness is less than 30%. You should try to detox. Dr. wolfson is good. 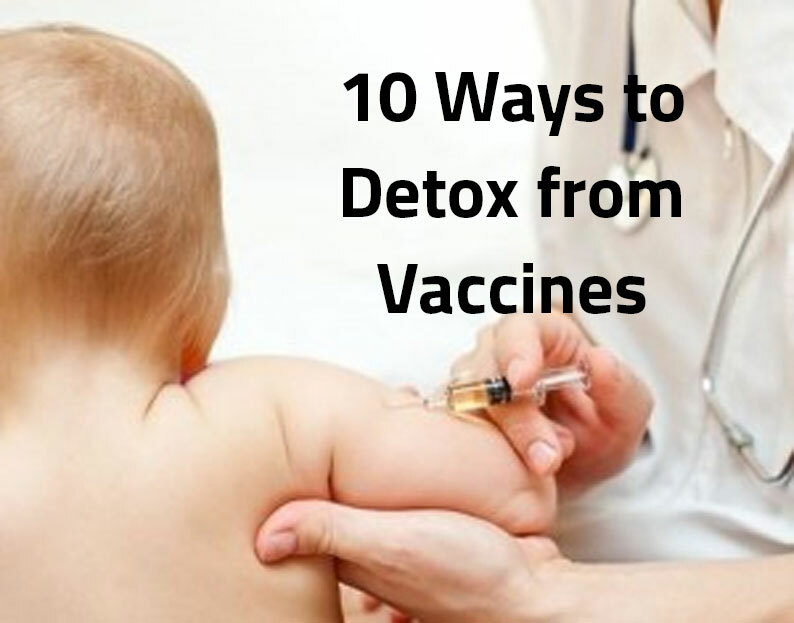 Vaccines add harmful toxins to your body. Here are 10 ways to get rid of them. Same here. I don’t get the flu shot and I don’t get the flu. BUT I do take 10000iu of vitamin D3 everyday. If you don’t mind sharing, how do you take so much? Do you have to take a million pills or have you found another way? My vitamin D level is almost nonexistent and I need to get it up. If you don’t mind sharing, how do you take so much? I don’t know how Carla take them, but here is the link where I order my vitamins and supplements. I also take elderberry every winter and since I started doing that I never got sick, even if I surrounded by plenty of coughing and sneezing people in the office. I have been taking the flu shot for years now. First started taking them because I worked in a hospital and it was required. After that, I just kept getting them. Now that I have medical issues otherwise, they STRONGLY want you to get it, because the flu could be so detrimental with the other ailments. I have never been sick. I know I won’t convince you, Jean, but that is just my story. I am not trying to convince anyone. I am so sorry for the one who has 2 strains of it. That has to be one of the worst things to have! Hope you are well soon. The only time I remember having the actual flu was when I was pregnant with my last baby, in 1981.